GJP secured reserved matters approval for the redevelopment of land at Mumbles Headland and Foreshore / Coastal Strip, after receiving a unanimous vote for approval by Swansea Council Members on 6th November. The proposals included, among other elements, 69 hotel rooms, 26 apartments and retail, food and drink uses. 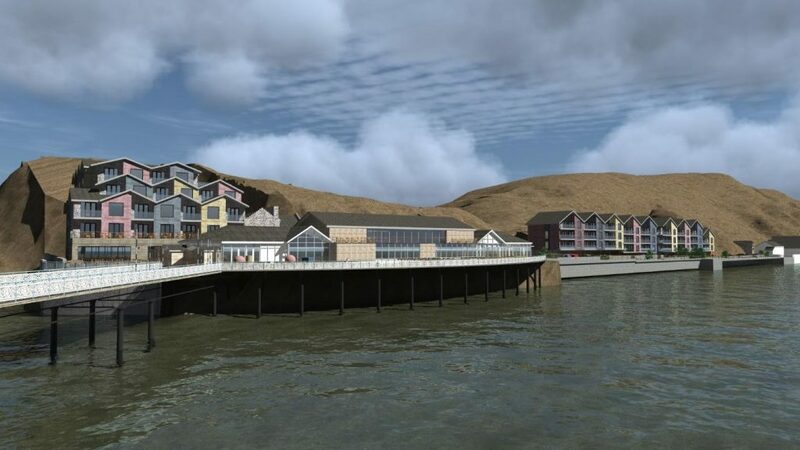 In reaching a decision, the positive benefits of the scheme were acknowledged, including the restoration of the pier, which itself enables the new RNLI lifeboat station and slipway. The provision of the Headland Building was also considered to contribute to the tourism facilities in accordance with the Swansea Bay Strategy, which aims to promote the regeneration of the Bay maximising the potential of the seafront location.